I have everything but I do not understand point no. 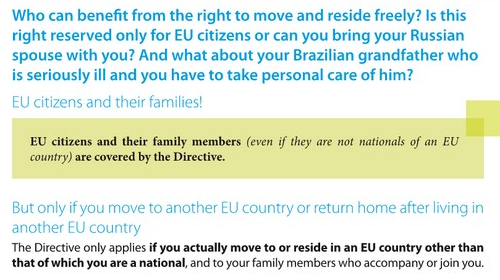 6, "Proof that this family member is using or has recently used his/her right of free movement". Does the fact that my spouse would be travelling with me, hence exercising her right of free movement, cover this point? Or does she need to be a resident of an EU country or registered in one other than UK? Unfortunately your spouse, being resident in Pakistan, is not exercising their right of free movement and so you will not be able to travel with them (without applying for a regular visa). Your spouse would need to be living in an EU/EEA country other than the UK in order to be exercising their rights and thus to be able to travel freely with their family members. The crucial text is at the top of the picture you posted: "by living/working in another EU/EEA country ... than he/she is a national of." Not the answer you're looking for? Browse other questions tagged uk schengen eu-citizens spouses freedom-of-movement or ask your own question. 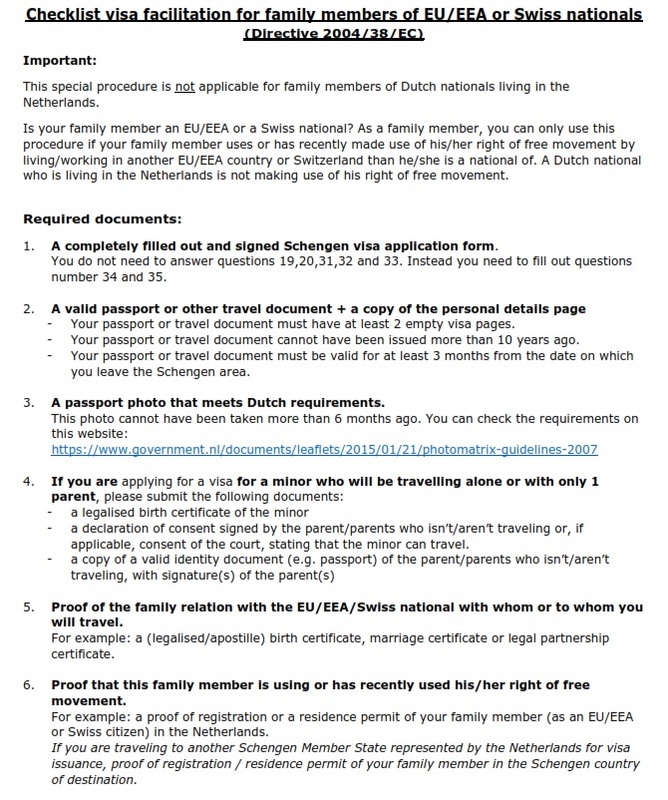 Spouse of EU citizen returning to EU with transfer within Schengen: need visa? Is a UK visa needed for a UK citizen's non-EU spouse with EU Family Member Residence Card to visit the UK together? How to prepare a successful application for Irish visa as a family member of an EU citizen?